Visiting Angels in Toms River, NJ is the leading elder care provider in all of Ocean County. As your parents age, they will likely begin to require help. Elderly care specialists say there are a few steps adult children can take to ensure their loved ones’ needs are met and they are healthy. Not sure where to begin? The following are three simple tips to follow. Simply being involved in your parents’ lives will have a real impact, even if they are self-sufficient. Not only will this provide them with the opportunity to socialize, but you’ll also be able to identify any issues that could potentially become hazardous, such as decreasing mobility. 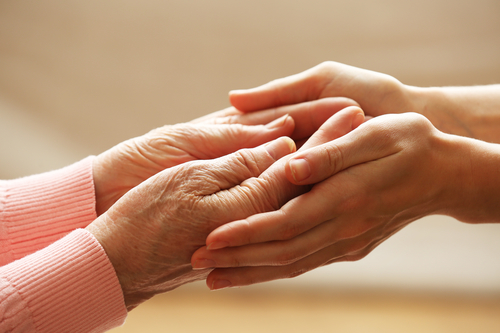 Company becomes more important if your loved one is in a nursing home, as many people feel lonely in these facilities. Whether your parents live with you or on their own, consider finding a professional caregiver to assist them. They can help with daily tasks and chores, make sure medications are taken, and also offer companionship. Their presence will ensure your loved one is well cared for and you do not have to struggle to balance your other responsibilities. If your beloved senior lives with you or visits often, make sure your house accommodates their needs. For those with mobility issues, an entry ramp and a bedroom on the ground floor will ensure they don’t have to deal with stairs. Also, make sure food and toiletries are easily accessible and the bathroom is outfitted with grip bars and non-slip mats. In Toms River, NJ, Visiting Angels has established a reputation for providing quality elderly care right in the comfort of your own home. These compassionate caregivers help with chores and offer companionship. If you’d like more information on the complete list of services, visit the website. You can also call (732) 240-1050 to speak with a friendly and knowledgeable representative regarding your specific needs.